GRIP is pleased to announce the premiere of their new and expanded line of camping and outdoor products at the National Hardware Trade Show happening next week in Las Vegas, NV, USA. LAS VEGAS - April 29, 2016 - PRLog -- GRIP's camping planogram displays continue their history of successful planograms and can be tailor-made to fulfill the needs of retail partners. The new displays showcase GRIP's full range of camping gear and accessories, including the GRIP Wide Beam Pen Lights, ideal for working on electronics, emergency roadside repairs, camping or a multipurpose work light. Their products can be viewed below. "The camping and outdoor customer appreciates multipurpose tools," says GRIP CEO Elias Amash. "In addition to their outdoor durability, many of our camping products can also be practical around the house or in the garage. Our camping line offers exceptional value to our retail partners by creating dedicated life-long customers." 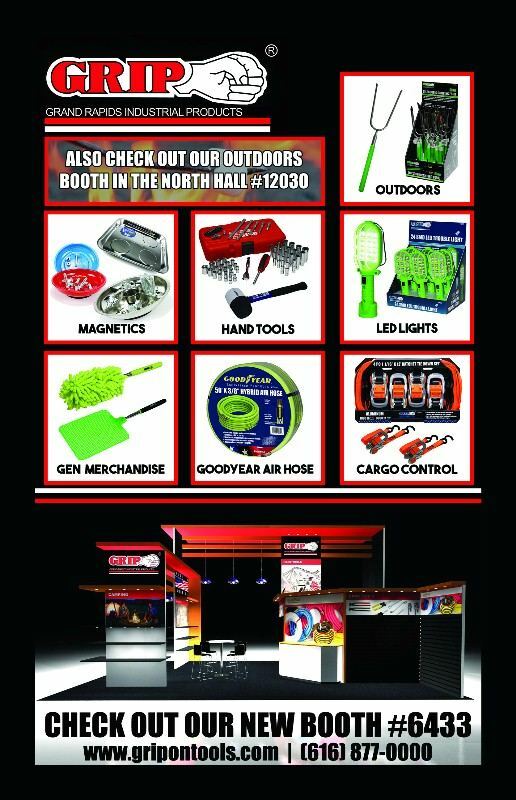 GRIP invites trade show attendees to meet them at their main booth #6643 or to see their camping line, visit the North Hall booth # 12030. About the National Hardware Show: The National Hardware Show is a 3-day event being held from 4th May to the 6th May 2016 at the Las Vegas Convention Center in Las Vegas, United States of America.